Fine Arts. Handmade Crafts. Food. Over 120 exhibitors from 16 states, including 26 first-time exhibitors, will be at the fair—it’s the perfect opportunity to get inspired and shop for the finest in clay, wood, metalworking, painting, textiles, photography, jewelry and much more. Members of the Cathedral of All Souls will once again be offering delicious sandwiches, cold drinks, and sweets, with proceeds benefitting their Outreach Program. Each year, a local artist also creates the Village Art & Craft Fair poster art. This year’s poster was for a 4th time designed by Jeff Gundlach, who offered up a playful, creative interpretation of our ever-expanding city for 2017. You can also pick up a t-shirt featuring Jeff’s design at the fair. Don’t miss what is shaping up to the best year ever—you and visitors from across the southeast will be supporting regional artists and keeping our rich tradition of handmade crafts alive. We’ll see you there! 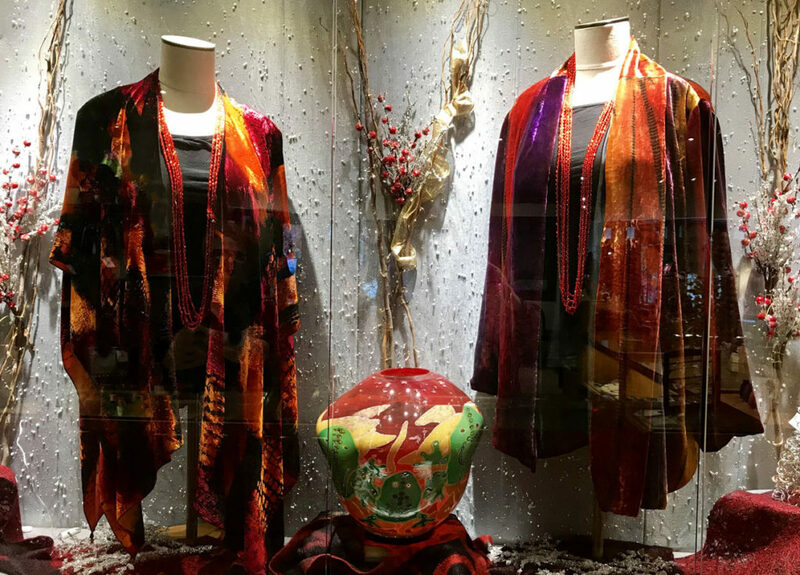 Bellagio Art to Wear and New Morning Gallery have been proudly sponsoring the Village Art & Craft Fair since its inception in 1972. Click here for detailed hours and merchandise info.